A fine Burundi single origin coffee exhibits a clean, delicate flavor with a rich body and acidity according to cupping notes. Coffee reviews indicate that that Burundi coffees have a sweet berry tastes floral notes and berry-like aromas. Taste Profile: The sweet and clean flavor along with other characteristics of Burundi coffee has often led to comparisons with the coffees of neighboring Rwanda, particularly in the northern region of Kayanza, where it neighbors on the Rwandan border. Along Burundi’s western border is the scenic Lake Tanganyika, the country’s lowest point at 772 meters above sea level, and elevations in Burundi rise as high as 2,670 meters at the summit of Mount Heha. The majority of Burundi’s exported coffee qualifies as Strictly High Grown (SHG) / Strictly Hard Bean (SHB). Coffee cultivation in Burundi began in the 1930s when the Belgians brought Arabica coffee plants. Today more than 800,000 Burundi families are involved in coffee growing. These smallholders average about 250 trees each, with most farms producing other crops or livestock as well. Production in the country struggled for some time due to political instability, but exports are beginning to smooth out. About 25 million coffee plants—mostly of the Bourbon varietal —are being cultivated on more than 60,000 hectares. The average farmer tends from 50-250 coffee plants. There are small quantities of Robusta produced, but the majority is Arabica. Most of Burundi’s coffee is grown between 1,250 meters and 2,000 meters above sea level and the primary coffee plant varietal grown is Bourbon and the coffee is wet processed. Burundi coffee is often compared to Rwanda coffee in its general cup character. Political and social turmoil in Congo has had negative effects on neighbouring Burundi’s coffee farming, and the future of coffee farming in the region as well as the availability of premium quality exports remains uncertain. Brokers are still able to get quality green coffee exported from the region and it is available wholesale on the market. One location known for the farming of coffee as well as palm oil, cotton, rice is Kivu the general name for East Congo, or Kinshasa. Tin and gold are also mined in this region. Kivu spans over a broad area and borders Rwanda, Burundi, and Uganda. The three provinces of Kivu are Maniema, Sud-Kivu (South Kivu), and Nord-Kivu (North Kivu) and the region includes Kahuzi-Biega National Park, a section of Maiko National Park, and the Ruwenzori Mountains. Eastern Kivu borders Lake Tanganyika. Burundi is not a significant player in the world-wide coffee market, but grows and exports a substantial quantity of delicious coffees nevertheless. Local brokers and distributors work with green coffee importers to clear customer and get unroasted Burundi green coffee beans into the United States and Canada. These bulk shipments (45,000-lb containers) are then split by the 132-lb bag and sold to in wholesale lots to coffee roasters, for sale to the final customer. If you’re looking into buying Burundi coffees for home, we recommend you order whole bean coffee to maintain freshness, and grind them just before brewing at home. After traveling thousands of miles, the best thing you can do for these coffees is to have them roasted within a week of arriving at your door and drinking and drinking it within a 2-3 weeks. You’ll want to make sure that the coffees are roasted fresh and haven’t been sitting on a shelf somewhere – coffees from Amazon will sit in shipping packages and warehouse shelves for weeks or months before being sold – and so will coffees you buy off the grocery store shelf. For a truly pure experience, we recommend brewing with a french press or manual pour over. We have yet to see an Organic certified Burundi coffee, but you can sometimes find a Burundi single origin as part of the Starbucks Reserve program. The delicate flavors and balance of the coffee makes this an ideal medium roast – roasting far enough to bring out the flavors without overpowering them with a dark roast or espresso. Buying fresh from specialty craft coffee roasters that import green coffees means you’ll get to experience it at peak flavor – within days of roasting. Burundi is best experienced as a single origin coffee, but the unique flavors make it a great addition to any blend or brand. Burundi has been featured as part of Starbuck’s Reserve program. Thank You for Visiting Espresso Coffee Guide and Reading About Burundi Coffee! Savor Your Coffee and Espresso! 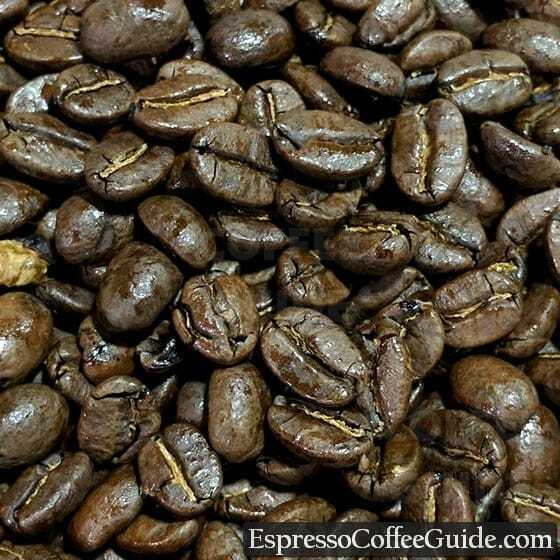 For tips on brewing the perfect cup of Burundi coffee see the Espresso Coffee Guide’s section on Coffee Brewing. For easy to follow instructions on how to make great Burundi espresso drinks see Espresso Drink Recipes and the How to make a Latte. Also provided are tips on Pulling A Perfect Espresso Shot. Sounds like a lot? It's actually 0.2% of the coffee grown worldwide. Expresscoffee Burundi est une societe de torrefaction de cafe arabica de meilleur qualite produit dans les hautes montagnes du Burundi. Objectifs majeurs de Expresscoffee : Distribue un cafe torrefie de qualite superieur dans tout le pays en particulier dans les hotels et les restaurants du Burundi. Will looking at sourcing African origins only .